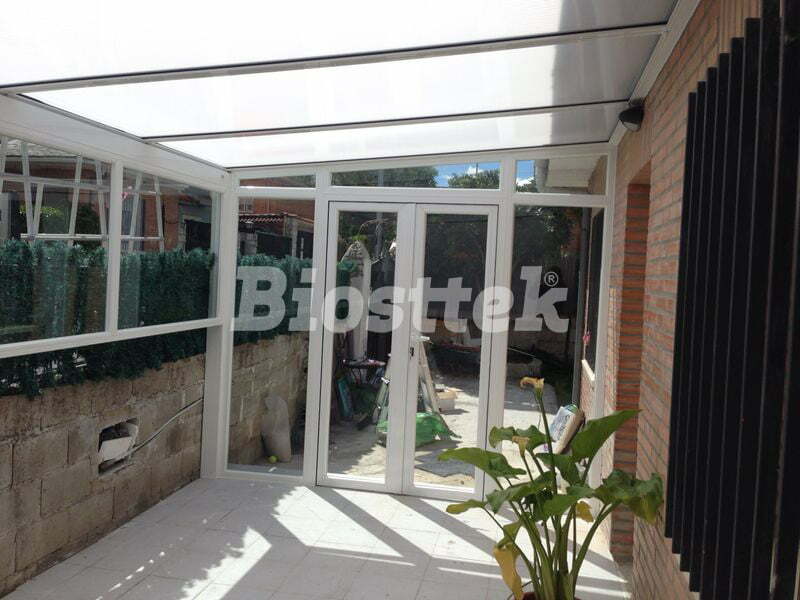 Fixed panel or polycarbonate ceilings are a lightweight, high-quality option. 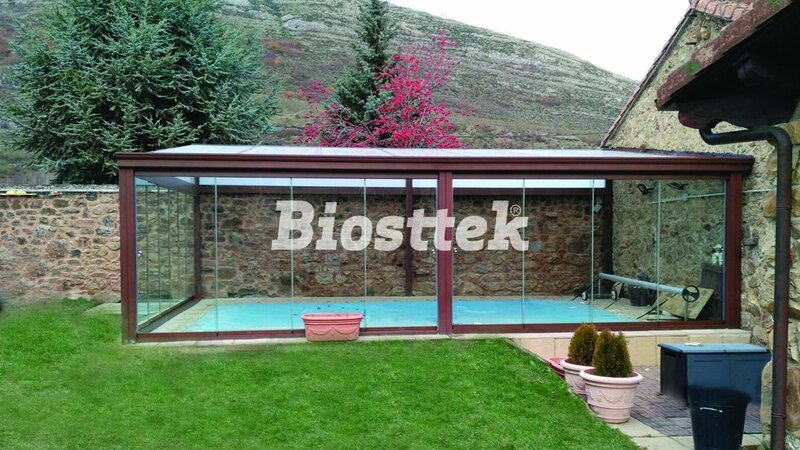 Designed to provide coverage and partial privacy for your terrace. 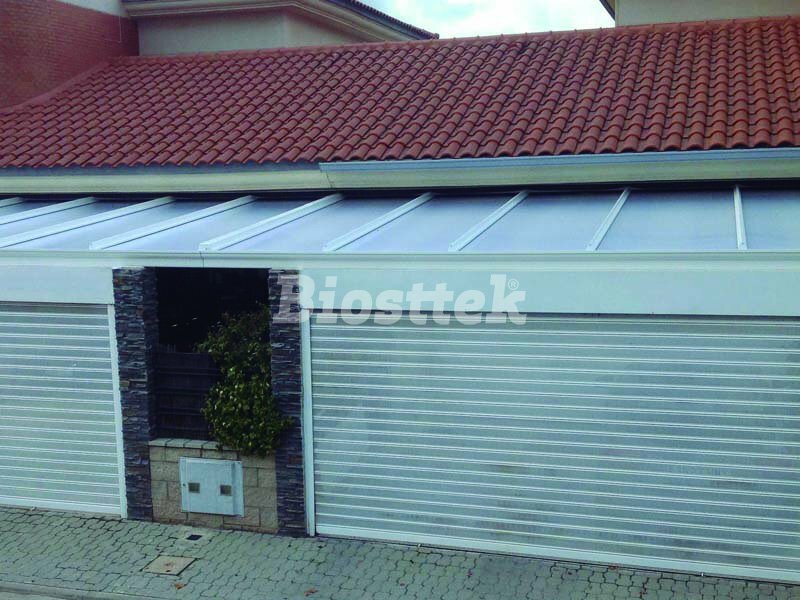 The BIOSTTEK polycarbonate fixed roofs have the advantage that they are highly customizable, adapting to the needs of each client. You can choose the measurements, materials and colors. We offer perfect finishes so you can enjoy your terrace all year round. 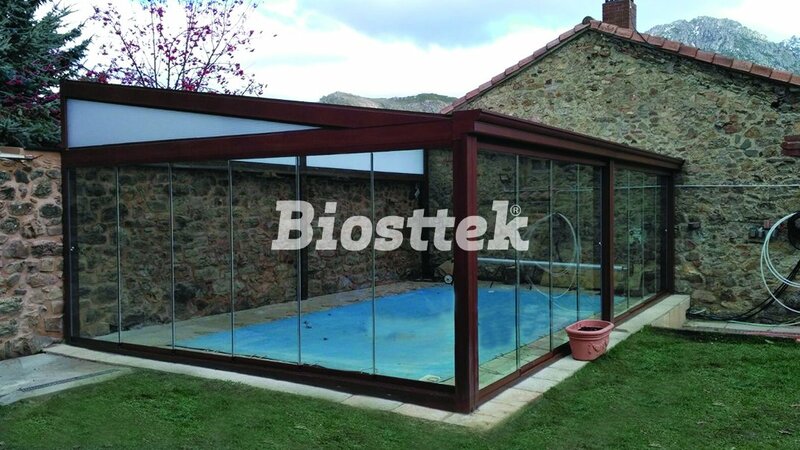 Discover the advantages of polycarbonate roofs or get in touch with us, we will be happy to help. 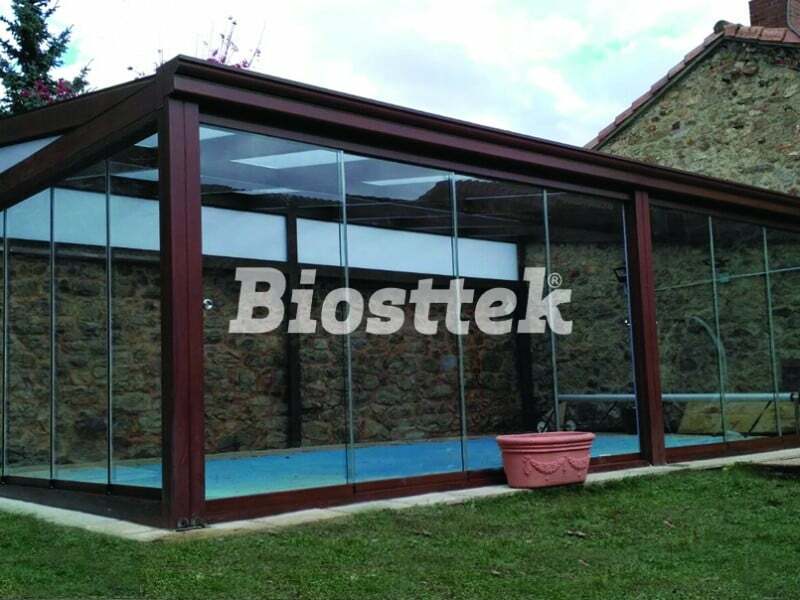 Panel Plate or Polycarbonate up to a thickness of 16mm. Profiles adapted to the dimensions of the cover. Just fill in the contact form on the right side of this page and ask us for a quote or any other information. If you prefer you can call us at +34 96 244 80 93. We will be happy to help you. Our experience at your service. We provide service to all of Spain. Ask for a budget without commitment!